You may have heard that robots are coming to take your jobs. While we'll still require human brain-meat to calculate and create certain amazing things (like cool blog articles, amiright? ), it's getting more and more clear that many menial gigs are about to go extinct. This week's sacrifice to the Singularity? Pizza delivery people. Aww, it's so cute, you almost don't want to crush it for stealing your livelihood. 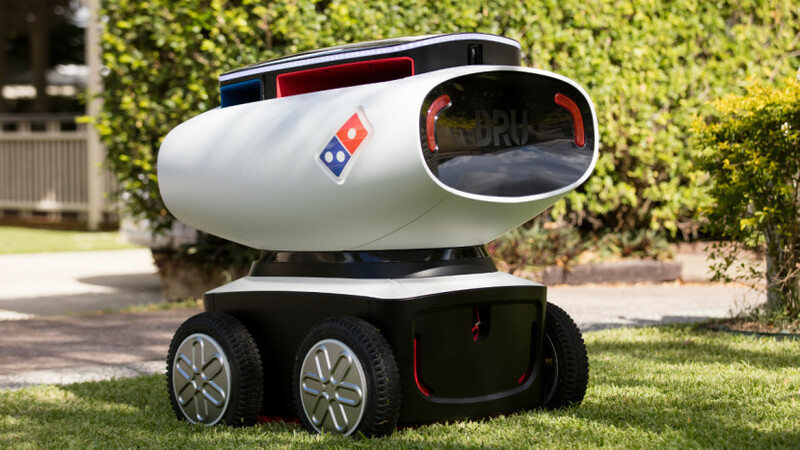 According to The Guardian, Australians have converted a military robot into the Domino's Robotic Unit (DRU.) This prototype pizza purveyor is a combination of military technology and science from Marathon Laboratories, who helped to develop the bot. There is serious technology involved here. They know your insatiable craving for delicious pizza is no joke. DRU uses lasers (to dodge items in its way, not zap them) and GPS to navigate to its delivery destinations. The LIDAR lasers, according to Engadget, are the same sort that are used by self-driving cars. With four wheels and a top speed of 20 km/hr (a little over 12 m.p.h. ), it's faster than your usual city cyclist, and is being tested to maneuver on sidewalks, bike paths, and trails. Upon reaching its destination, the pizza purchaser simply uses their phone to send DRU a security code that unlocks a special compartment containing its pizza payload. This compartment is insulated for heat, while another can be kept cold (so your soda stays chill.) Ah, future, you are delicious. The DRUs will be appearing in stores over the next six months, and are intended to be cruising the streets of Queensland within the next two years. So you have until 2018 to get your coding skills down, either to build better robots that won't take your job, or to hack open DRU's pizza pod...because with all these non-humans stealing your work, you're probably starting to get really hungry. Pizza delivery is an awesome alternative for youngsters searching for evening and weekend hours that will give them the adaptability and flexibility to be a high schooler, however from the perspective of your accident protection bearer pizza conveyance is a bad dream work out. Here's the reason collision protection organizations abhor pizza conveyance occupations, and what you can do about it. It may not appear to be so at first but rather pizza eateries can be the most complex of the eateries to oversee from the product point of view. Because of the fame of pizza, and the wide hope that pizza gets conveyed to homes and workplaces, the movement inside a pizza parlor can get entirely riotous at top hours. But would I have to tip my delivery robot? If not, I honestly would order way more pizza delivery since the big thing that always keeps me from doing so is the fact I've gotta add another $5 to the price of the order. I say bring on the pizza bots! 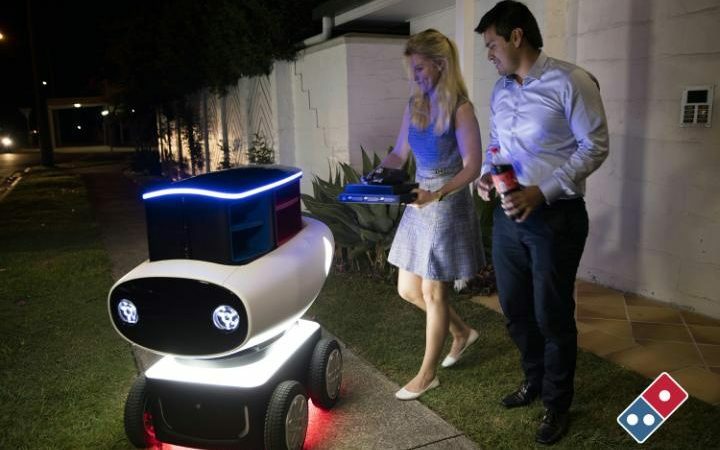 The information about pizza delivery robots given in this blog was really amazing. Thanks for sharing. This is really great news do check dominos offers in shopozo before placing dominos order from there you can have lot more deals.